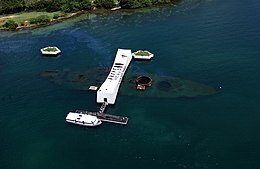 USS Arizona was a Pennsylvania-class battleship built for and by the United States Navy in the mid-1910s. 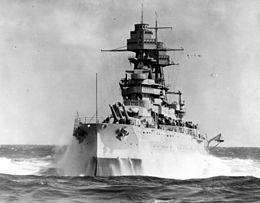 Named in honor of the 48th state's recent admission into the union, the ship was the second and last of the Pennsylvania class of " super-dreadnought" battleships. 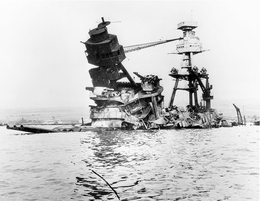 Although commissioned in 1916, the ship remained stateside during World War I. 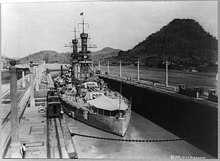 Shortly after the end of the war, Arizona was one of a number of American ships that briefly escorted President Woodrow Wilson to the Paris Peace Conference. 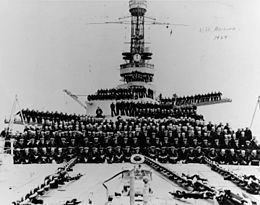 The ship was sent to Turkey in 1919 at the beginning of the Greco-Turkish War to represent American interests for several months. 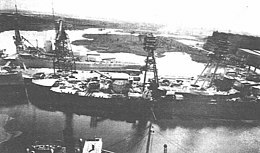 Several years later, she was transferred to the Pacific Fleet and remained there for the rest of her career. 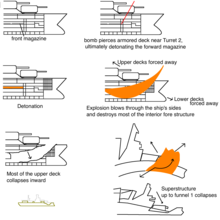 ^ " Lay Keel of Navy's New Dreadnought," New York Times, 17 March 1914. 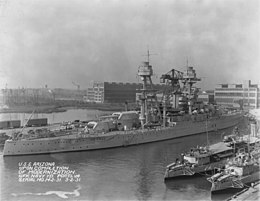 ^ " Two Best Warships to be Built for US," New York Times, 13 July 1913. 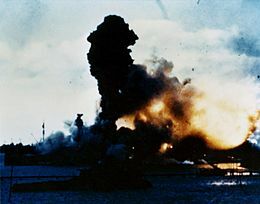 ^ " Arizona Launching Here in Early June," New York Times, 21 March 1915. 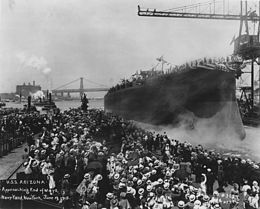 ^ " 50,000 to witness Arizona launching," New York Times, 13 June 1915. ^ " Arizona Afloat as 75,000 Cheer," New York Times, 20 June 1915. 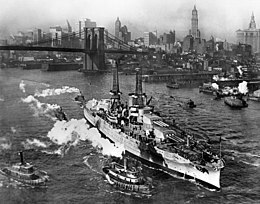 ^ " The Mighty Arizona Now a Part of Navy," New York Times, 18 October 1918. ^ " Fleet Met Wilson Before Daylight," New York Times, 14 December 1918. 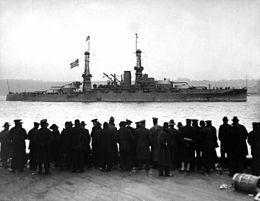 ^ " Battleship Fleet sails for New York," New York Times, 15 December 1918. ^ " Ovation to Sea Fighters," New York Times, 26 December 1918.